According to Nielsen and MMAPayout.com, the UFC on Fox 28 main card on FOX garnered 2,037,000 viewers. This final rating is an increase from the preliminary overnight estimate of 1.82 million viewers and represents a 15% increase from last month’s 1,771,000 viewers. Viewership peaked with 2,731,000 viewers from 10:00-10:15 PM ET. 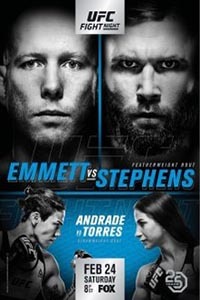 The ratings include the overrun, which included the Jeremy Stephens vs. Josh Emmett bout. On FSGO and FOX Now the telecast had an average minute audience of 11,067. The preliminary card on FOX garnered 1,214,000 viewers. The prelims started 30 minutes later than scheduled due to an overrun from a college basketball game. On Fox Sports Go and Fox Now the telecast had an average minute audience of 11,814. 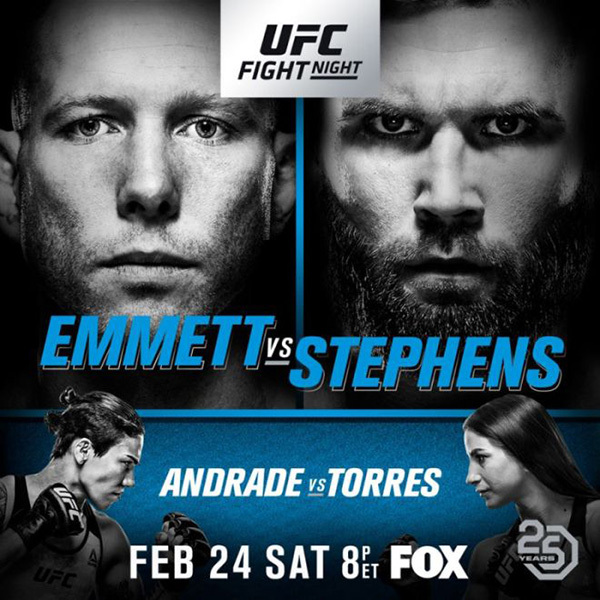 UFC on FOX 28: Stephens vs. Emmett took place February 24, 2018 at Amway Center in Orlando, Florida.